To celebrate its 100th year in publication, Aviation Week magazine opened up its vault. Every cover, every article, every photo and every ad published from its collection (Aug. 1, 1916- present) are available for the public to view digitally. Included is a treasure chest of GE Aviation history. March 15, 1920: the first significant Aviation Week article detailing what GE was up to was published. Dr. Sanford Moss (far left) and Maj. R.W. Schroder (right) pose before the first flight test of the GE Turbo Supercharger in 1919. The headline on page 146: “General Electric Turbo Supercharger for Airplanes,” by Sanford Moss. 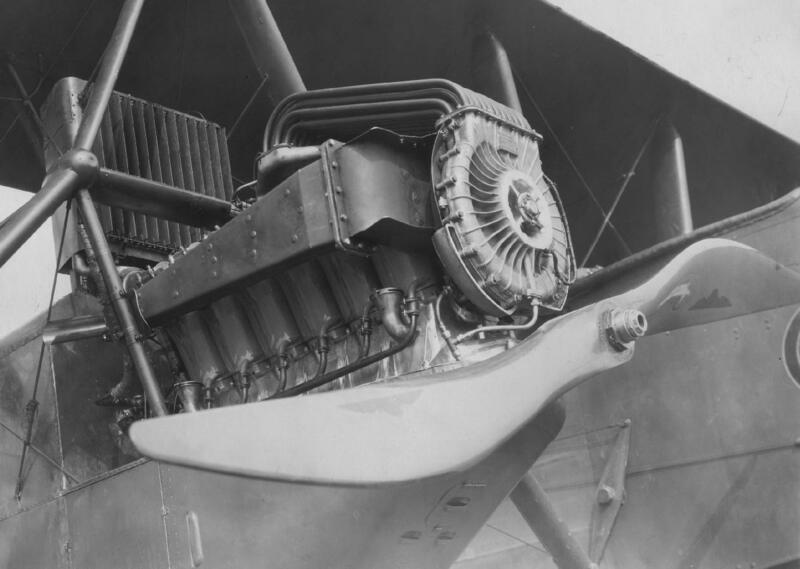 In the six-page article, Moss went into detail about the engine booster which would be GE Aviation’s first product success story. “The General Electric Co. has developed a line of single stage centrifugal compressors for compressing air from 1 to 5 lbs. per sq. in. above atmosphere, for use for many industrial purposes, as well as a line of multi-stage machines for compressing air and gas up to pressure of 30 lb. per square inch above atmosphere. This business has grown rapidly and this year the total sales will approximate a million and a half dollars,” Moss wrote. Through the years, Aviation Week has documented GE Aviation’s path in becoming the world-leading producer of jet engines. GE products and news are featured on Aviation Week’s cover more than 100 times, and counting, to date. Thousands of articles have been written. Maj. R.W. Schroeder, with the aid of a GE turbocharger, set a new world record by climbing to 38,180 on Feb 27, 1920 at McCook Field in Dayton. However, the day nearly turned tragic as Schroeder lost consciousness during the flight due to lack of oxygen/carbon-monoxide intake. A witness account is published describing a secret Bell jet. The plane would later be identified as America’s first jet fighter, the P-59, powered with two GE I-A engines. The first pictures are detailed of the Lockheed F-104A. The April cover features the Wright J65-powered Starfighter. Less than a year later, two F-104A’s, powered with GE J79 engines, are the cover feature of the Feb. 4, 1957 issue. More than 17,000 J79s were built over 30 years, also powering iconic jets like the F-4 Phantom II, RA-5C Vigilante and B-58 Hustler. April 19, 1993: The GE90 gets its first cover story as the test program accelerates. On March 27, 1995, the GE90 is also featured on the cover with GE 747 test bed. Access the Aviation Week archive to view detailed documents, today! Sign up is free.